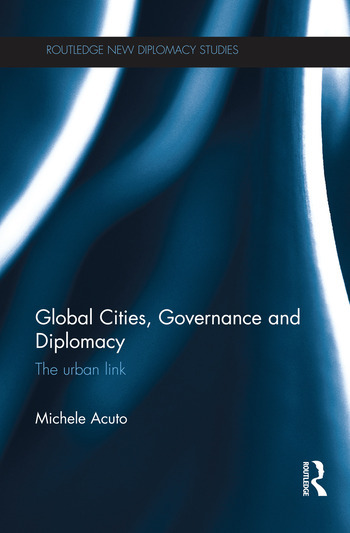 This book illustrates the importance of global cities for world politics and highlights the diplomatic connections between cities and global governance. While there is a growing body of literature concerned with explaining the transformations of the international order, little theorisation has taken into account the key metropolises of our time as elements of these revolutions. The volume seeks to fill this gap by demonstrating how global cities have a pervasive agency in contemporary global governance. The book argues that looking at global cities can bring about three fundamental advantages on traditional IR paradigms. First, it facilitates an eclectic turn towards more nuanced analyses of world politics. Second, it widens the horizon of the discipline through a multiscalar image of global governance. Third, it underscores how global cities have a strategic diplomatic positioning when it comes to core contemporary challenges such as climate change. This book will be of much interest to students of urban studies, global governance, diplomacy and international relations in general. Michele Acuto is Stephen Barter Fellow in the Oxford Programme for the Future of Cities at the Institute for Science, Innovation and Society, University of Oxford, and Fellow of the Center on Public Diplomacy at the Annenberg School of Communication, University of Southern California.